Novyi Giperborei. Novi. Zhurnal Tsekha poetov. 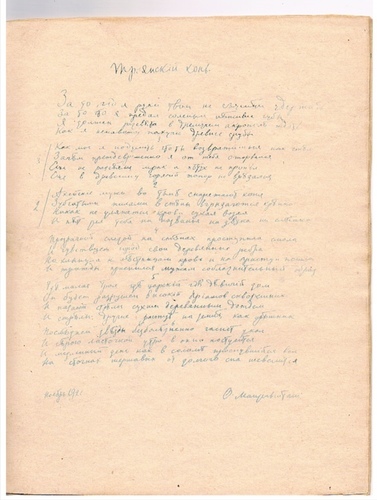 Poems and drawings by Gumilev, Mandelstam et al. 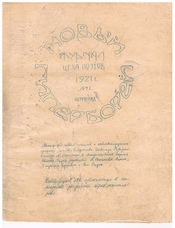 Important Acemist journal "New Hyperborean"
Very rare copy of the first issue of the Acemist journal "Novyi Giperborei". One of only 23 copies. Hand-lettered, mimeographed and stapled. In excellent condition and appears unused. Later library or bookshop marks to inside last page. 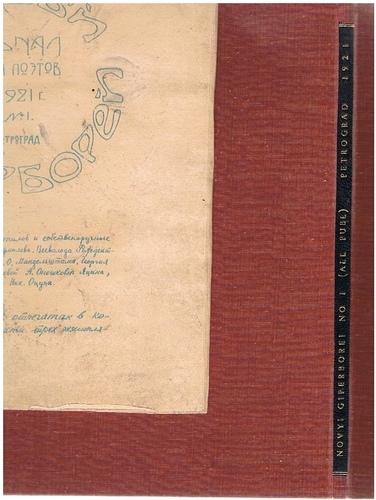 In modern custom-made cloth-bound folder with title and date to spine. 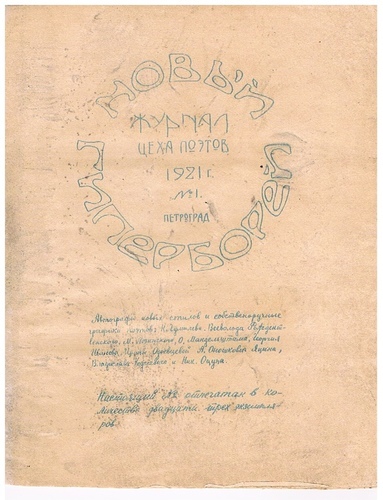 ; The Tsekh Poetov was founded in 1911 by Nikolai Gumilev and Sergei Gorodetskii and evolved into the Acemist poetry movement of which Osip Mandelstam was a leading member. 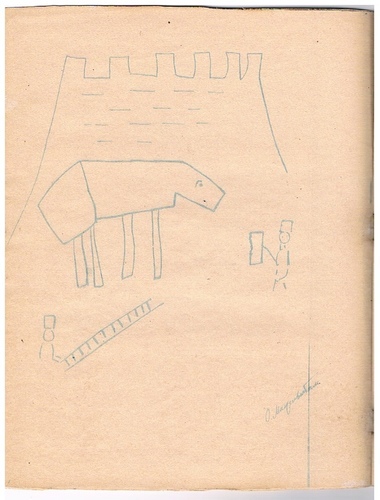 This journal includes poems and drawings by N. Gumilev, Vsevolod Rozhdestvenskii, M. Lozinskii, O. Mandelshtam, Georgii Ivanov, Irina Odoevtseva, A. Onoshkevich IAtSin, Vladislav Khodasevich, and Nik. Otsup. 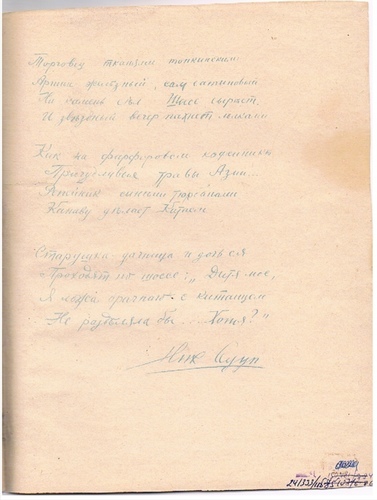 Lithographed autographs of new poems and illustrations by the poets themselves. Due to lack of materials, the work was mimeographed. At the time many books were hand-written. In the same year, Gumilev was arrested by the Cheka and shot in 1922.